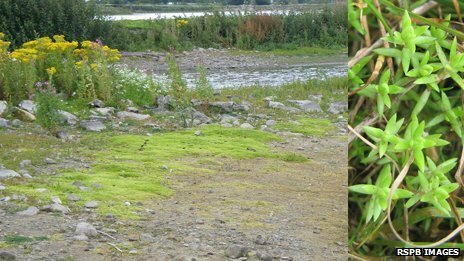 Salt water is to be used to kill off a weed which threatens a freshwater lagoon at an RSPB reserve where thousands of birds feed on mud flats. About 7m gallons (32m litres) is being pumped from the River Conwy into the lagoon at Llandudno Junction from high tide on Thursday. It is designed to eradicate an invading weed from Australia, known as swamp stonecrop, or Crassula helmsii. The lagoon had already been emptied and will be kept salty for at least a year.